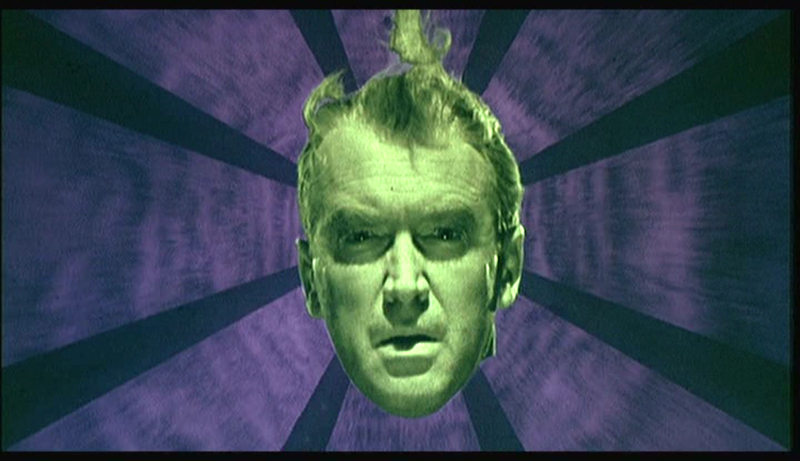 Vertigo is the closest film in the history of the medium to achieve a dream like quality. While one can point to David Lynch or many other surrealists for essentially doing the same thing, one could argue that Vertigo perfectly replicates what it feels like to experience a dream. It was most apparent on my second viewing of the picture. It was on television and the famous silent portion of the film where Scottie (James Stewart) is keeping a close eye on Madeline (Kim Novak) was occurring. During this moment, not only was the visual storytelling impeccable but also was Hitchcock’s ability to craft great images with no dialogue and minimal score. Furthermore, it dawned on me during this moment that I had forgotten the plot, the sequencing, and the general orientation of the scene in regards to how it fit in with the rest of the film. I assure you, fair reader that this was not the consequence of being forgettable. But more out of the effect of the film being purposefully designed like a dream. You do not remember, how you got there, what point of time or place, you’re just thrust into a dream, and this was my reaction to that lengthy scene. With this aspect in mind, the lenses can now be sharpened and focused upon the third act of the film, which warrants much discussion and examination. Narratively, Scotty had witnessed the death of Madeline and is recovering in a halfway house, emotionally crippled; as a result. Filmmaking wise, Mr. Hitchcock has just committed one of the most trippy scenes of his career to screen. We witness Scotty mentally breaking down due to his fear of Vertigo and Madeline falling from the top of the church. The third act plays out as gut-wrenching tragedy. Scotty is doomed almost in a fatalistic way to repeat the mistakes of the past, and his former traumas are worsened with his new obsession of wanting back Madeline. In itself, this sets up an elegant twist. Scotty, loved an illusion, a conception of Madeline that was based on superficial details. Additionally, the Madeline that Scotty was watching earlier in the film was played by an actress who looked like the real Madeline, and whose death was faked. While, we can comment on what loving Madeline meant for Scotty earlier in the film. What makes the third act so interesting is that aside from its plot twist and Scotty getting over one trauma to be doomed to gain another, is the presentation of the act. One could make the logical assumption that the third act represents Scotty’s attempt to get over his trauma. However, he is doing so while still being in a halfway house and being a silent, broken person that we saw earlier. So what evidence is there for this reading? Well, firstly, Mr. Hitchcock never shows us Scotty leaving the establishment officially, he just makes a quick cut to him seeing Madeline’s green car and thinking he sees her driving it. Secondly, a pre-established character is completely dropped and does not appear in the third act. It is an odd choice as she was established as being an active almost maternal figure for Scotty, caring for him a great deal. Thirdly, the scene closely follows the one where we see our protagonist snap psychologically, so it gives this reading some validity. Finally, the explanation of the twist, aside from working on a thematic level, holds little logical ground, it sounds preposterous and is given minimal description. Could it be possible that Scotty is working out his issues and out of some self-loathing or other factor, he conceived of this betrayal? Whatever, you may feel about the issue in question or the film at large. There is no doubt that Vertigo is a film worthy of its reputation, and one hopes that there are many more enigmas hidden deep beneath its dreamy depths.